We appreciate all you d for the lodge itself and the community. We also need to keep track of what we do for our lodge and community. This is submitted to Grand Lodge regularly. It’s EASY to log your hours. Anything you do to volunteer (not eating dinner at the lodge or doing laps in the pool) but helping decorate, serve, clean or cook – gardening, admin, meetings, etc – it all counts! Extra help is always needed in organizing and running lodge activities. As an activities member you will be contacted by the committee chairman when help is needed. This is a fun way to offer a helping hand, meet members and help our lodge support its charity work. Regular meetings, Third Tuesday of the month at 5:30 pm. The Americanism Committee maintains an appreciation of our National Emblems and educates others of the significance in those emblems. This committee upholds the observation of Flag Day and participates in the National Essay contest. As a member of this committee you will be asked to attend quarterly meetings to discuss Americanism focused lodge activities, help promote the essay contest and help deliver meals. Drug Awareness is a cornerstone of Elkdom throughout the country. Elks strive hard to provide safe environments and activities for youth to help prevent drug addiction and human trafficking. We sponsor a big community awareness event in the Fall and many smaller outreach events throughout the year. We are supported by Marin County Office of Education. The Scholarship Committee promotes our scholarship program to high school students. Our lodge is proud to offer scholarships to graduating seniors attending college. As a committee member you will focus on promoting our scholarship program in the local high schools, you will review the applications and play a role in choosing our scholarship recipient, and finally planning an Awards Dinner in May. This committee is most active from September through January. Being part of the Veterans Committee provides a wonderful opportunity to help the men and woman who have served our country. We hold several fundraising events to support local veterans in our community. We also participate in local community events: Flag Day, Memorial Day, Veterans Day at the Marin County Civic Center. 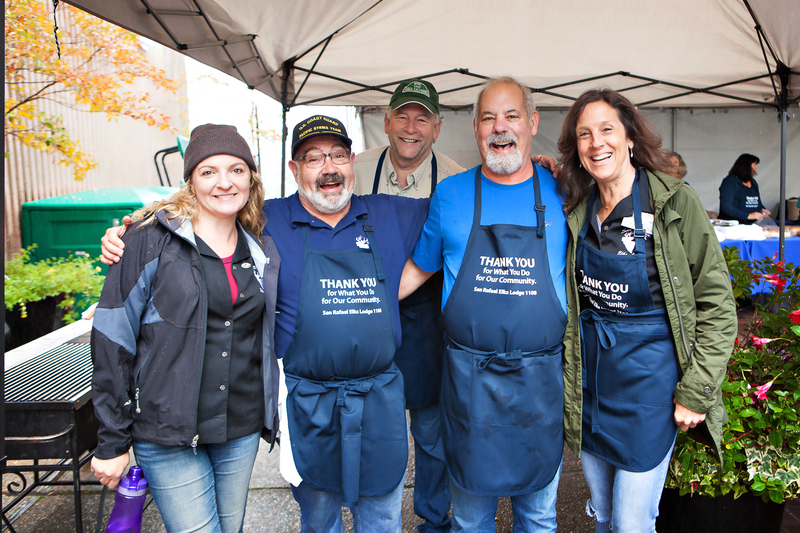 Groups benefit from our donations: Blue Star Moms, Ranchin' Vets, Marin County United Veterans Council, Veterans Housing, Yountville Veterans Home.